There’s something to be said about taking simple, wholesome ingredients and making them into extraordinary dishes. 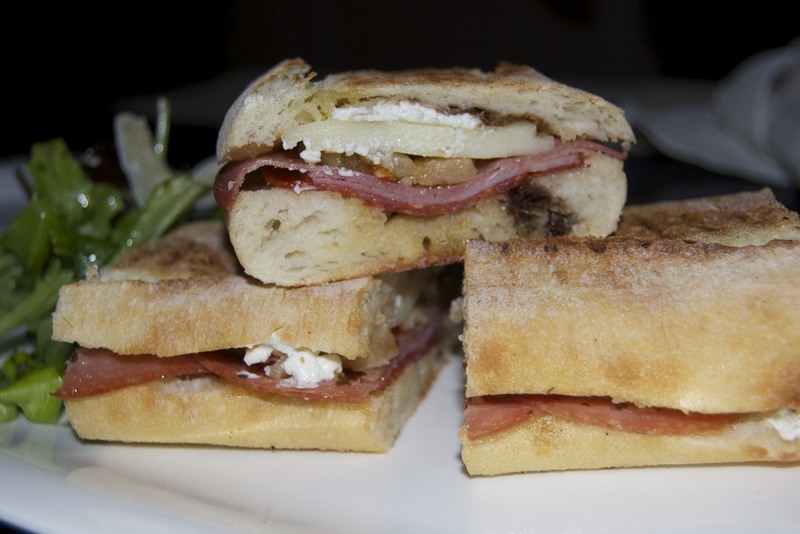 Notturno has done just that with the panini. The inspirations for this restaurant are the panini and tapas bars in Italy, where people gather with friends for good food and wine. 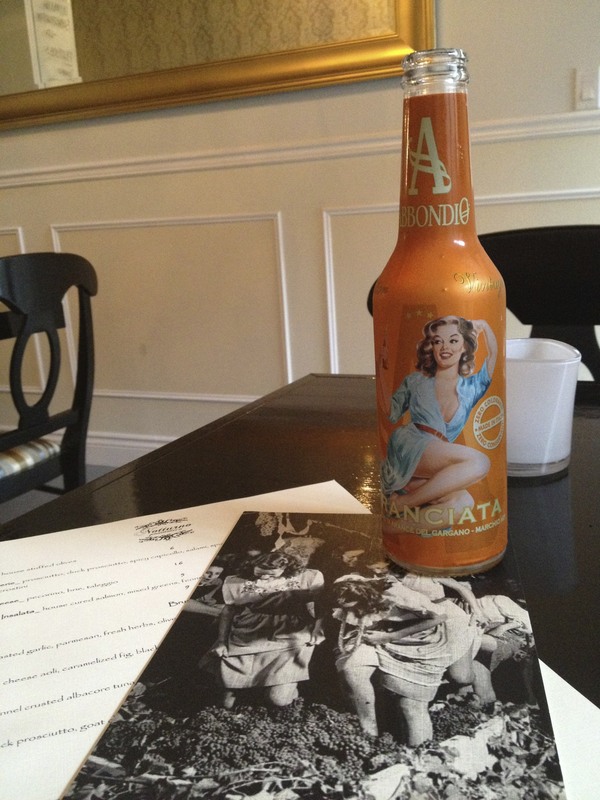 Their menu is a take on European style with a modern twist. Their wine list is all Italian wine. 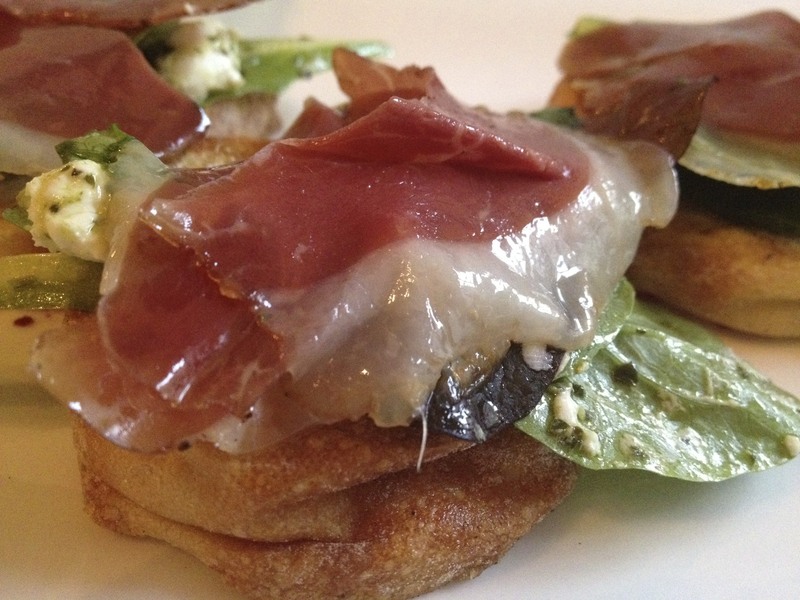 I’ve been here a couple of times, and I’ve tried a few of their bruschettes: Some of my favourites: The Anastra ($8) duck prosciutto, goat cheese and arugula. 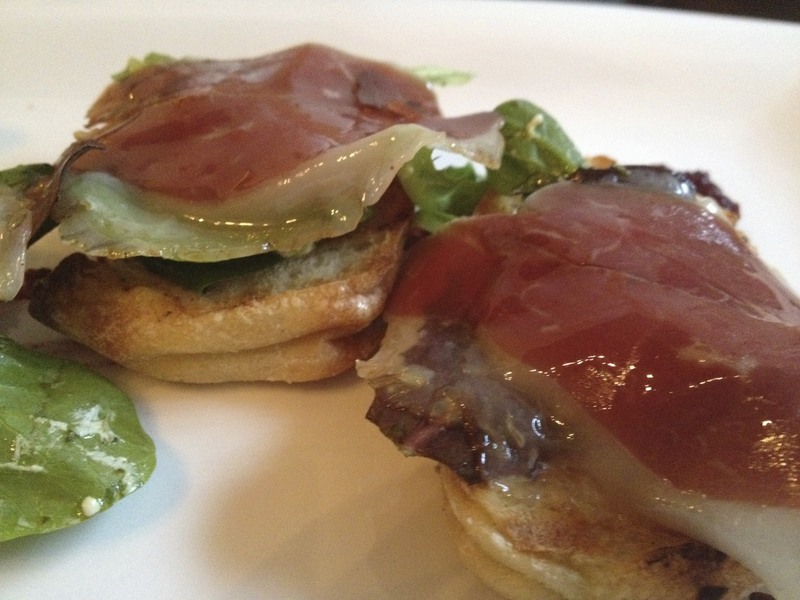 Duck prosciutto is a tad heavier and more flavourful than regular prosciutto. 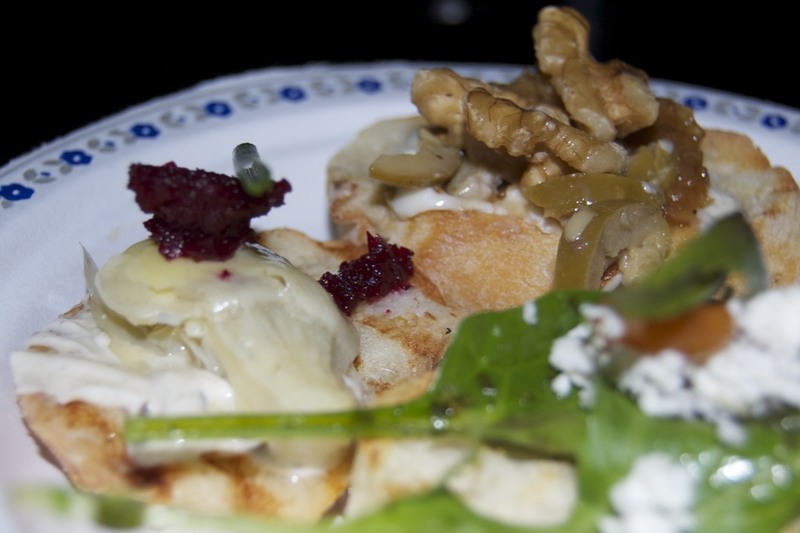 The Fico – blue cheese, olives, caramelized figs and walnuts. ($7) is a delicious combination. 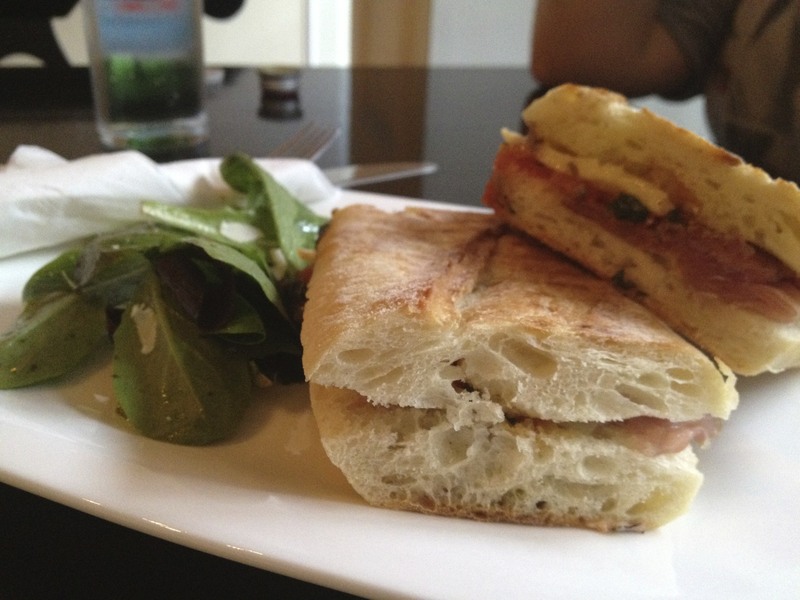 When it comes to their panini s, theirs are like no other. Their fantastic bread comes from Italian Bakery La Grotta. This is a bread with authentic Italian taste. 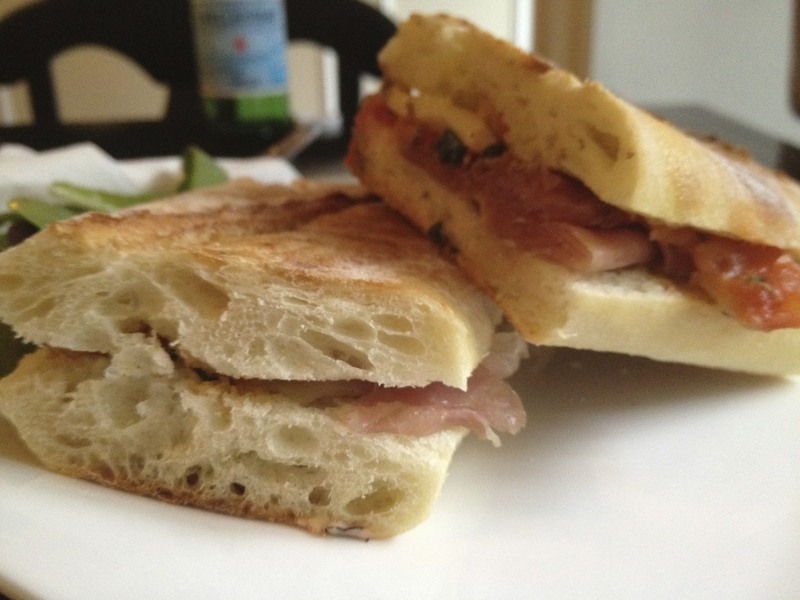 Some of my favourites: The Classico ($9) prosciutto, brie cheese and tomato confit. Vegetale ($9) – zucchini, mushroom, arugula, red pepper aioli, provolone cheese and grainy mustard. This is a very exciting vegetarian option! Together with a side salad, this makes a very good lunch. 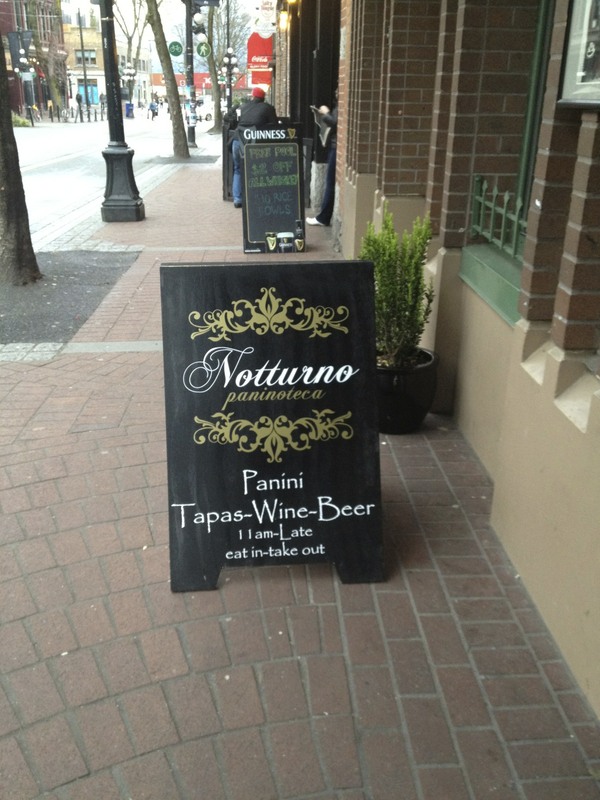 The decor of Notturno is very interesting and intimate. The pictures on the walls were taken by owner Scott during his trips to Italy. The chandeliers, the open kitchen concept, long bar and champagne wall paper makes this restaurat a classy place to share good wine and food with close friends, and allows you to be transported for at least a small time, to Italy.